Blueshift, the leader in Artificial Intelligence (AI) Powered Marketing across all channels, announced that the company has been awarded Patent No. 9779443 from the United States Patent and Trademark Office for “EVENT-BASED PERSONALIZED MERCHANDISING SCHEMES AND APPLICATIONS IN MESSAGING”, further validating the company’s innovations in applying AI to real-time streams of behavioral data. Blueshift’s platform ingests and understands real-time streams of customer interaction ‘events’ from websites, apps, point-of-sale and other systems. These ‘events’ can include any customer behavior across any platform or marketing channel, e.g. a customer watched a video on a media platform, or submitted an online inquiry for a reverse mortgage with a financial-services company. Blueshift’s patented method builds an “Interaction Graph” from the event data along with historical customer data and the brand’s catalog of products or content, and uses the graph for continuously computing various forms of AI-Based predictions and recommendations (“personalized merchandising schemes”) continuously. The patented technology also integrates these predictions into customer experiences on channels like email, direct mail, SMS, websites or mobile app notifications, enabling brands to seamlessly use the power of artificial intelligence to deliver 1:1 personalized experiences. 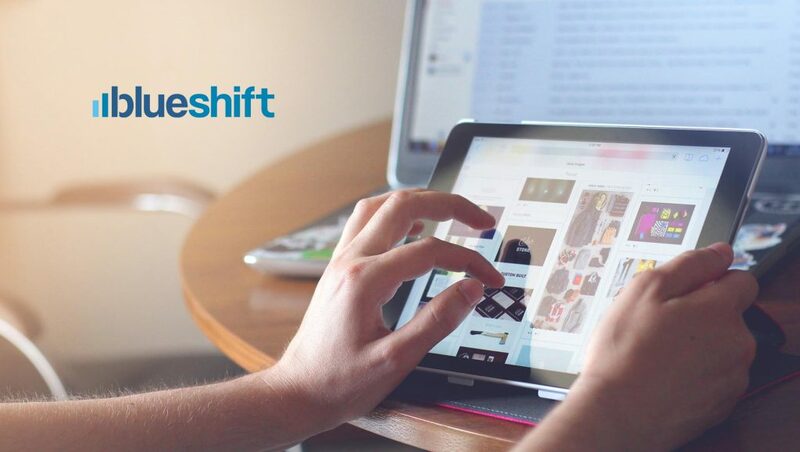 The flexibility of the Blueshift system to adapt to all types of customer interaction events and content catalogs makes it possible for a large variety of consumer facing industries to benefit from the platform’s innovations, ranging from consumer goods to retail, consumer finance, travel, healthcare, subscription services and marketplaces. Blueshift’s other recent innovations in AI-Powered Marketing include the launch of “AI-Powered Customer Journeys,” a next generation solution that enables marketers to deliver content rich & personalized customer engagement across every marketing channel. Blueshift also recently hosted a webinar on the theme of “AI in the Inbox” with partner Sparkpost and customer LendingTree. Blueshift also recently announced the general availability of its “Live Personalization” offering powered by AI. Previous ArticleInterview with Tony Zito, CEO, Rakuten MarketingNext ArticleHow Precisely Accurate Is Your Geo-intelligence?